The Kerala Technological Congress 2018(KETCON 2018) is an initiative of the Centre for Engineering Research and Development (CERD), the research arm of KTU, to provide a platform to the students, academia and the practicing professionals in engineering and technology to discuss and exchange their ideas and research experience for the benefit of the society. Also, the event envisages to foster inter-institutional relationship for strengthening technological research in the engineering colleges in Kerala. Sahrdaya College of Engineering & Technology is one of the most prestigious and preferred institution of Kerala . The environment in Sahrdaya paves way for an ideal learning ambience providing exposure to different cultures and perspectives for fruitful and meaningful interactions. 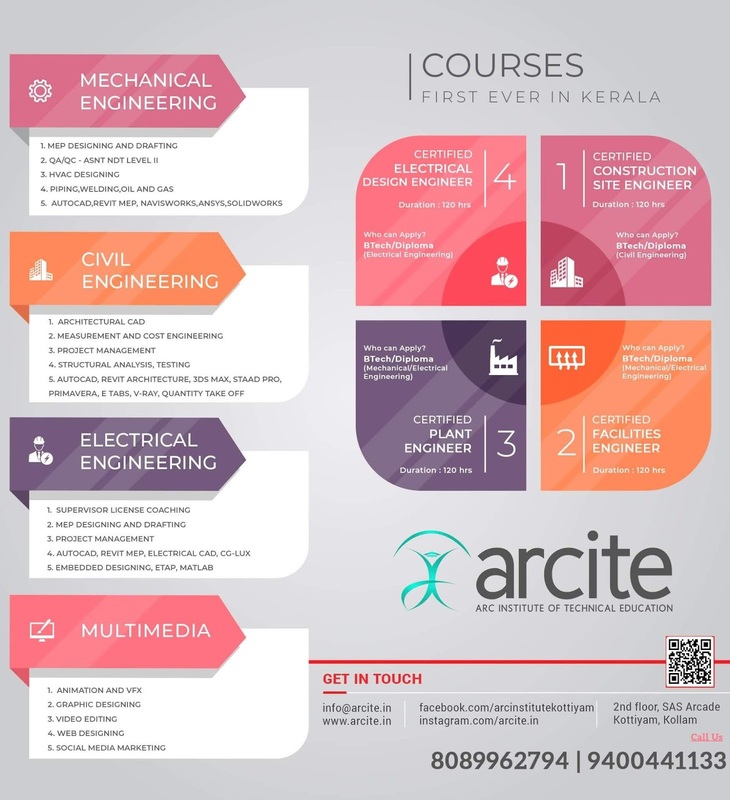 APJ Abdul Kalam Technological University (initially Kerala Technological University),a State Government University has come into existence on May 21, 2014 with an aim to give leadership to the technology related policy formulation and Engineering Planning for the State. The Kerala State Council for Science, Technology and Environment (KSCSTE) is an autonomous body under the ministry of S&T, Kerala, constituted in November 2002 to be an agency for change and development through science and technology. 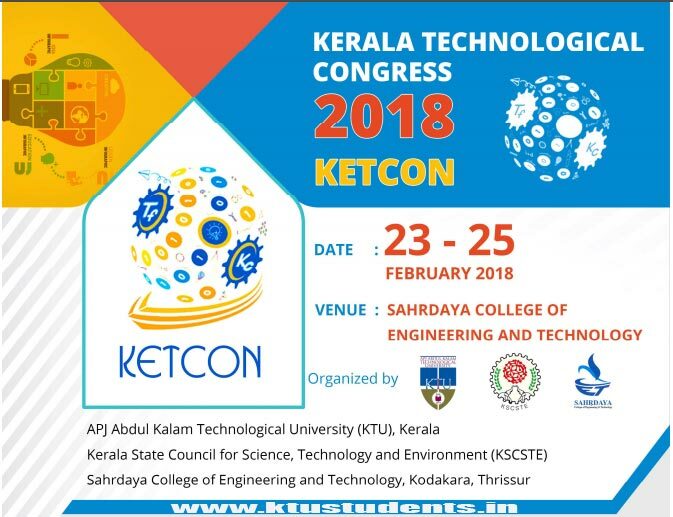 KTU Tech fest KETCON 2018-KERALA TECHNOLOGICAL CONGRESS organized by Sahrdaya College of Engineering & Technology,APJ Abdul Kalam Technological University (initially Kerala Technological University) and The Kerala State Council for Science, Technology and Environment (KSCSTE). The Kerala Technological Congress 2018(KETCON 2018) is an initiative of the Centre for Engineering Research and Development (CERD), the research arm of KTU, to provide a platform to the students, academia and the practicing professionals in engineering and technology to discuss and exchange their ideas and research experience for the benefit of the society. Also, the event envisages to foster inter-institutional relationship for strengthening technological research in the engineering colleges in Kerala.